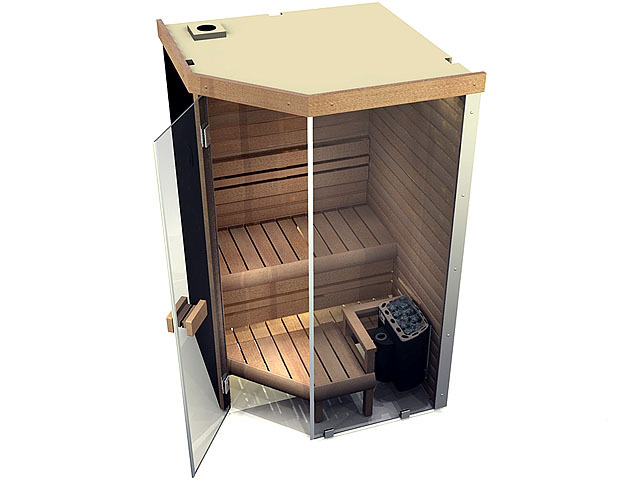 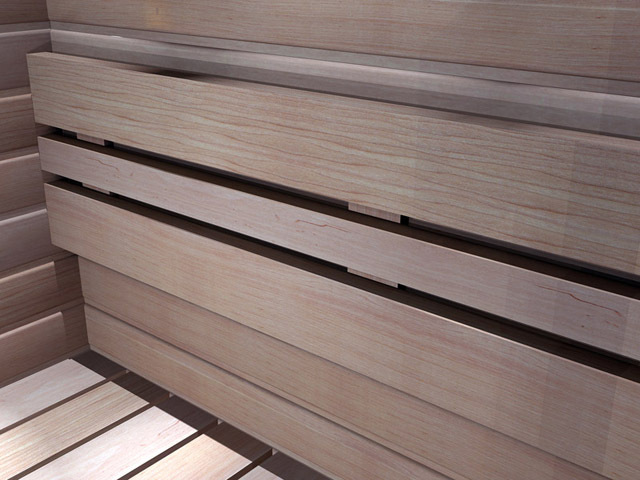 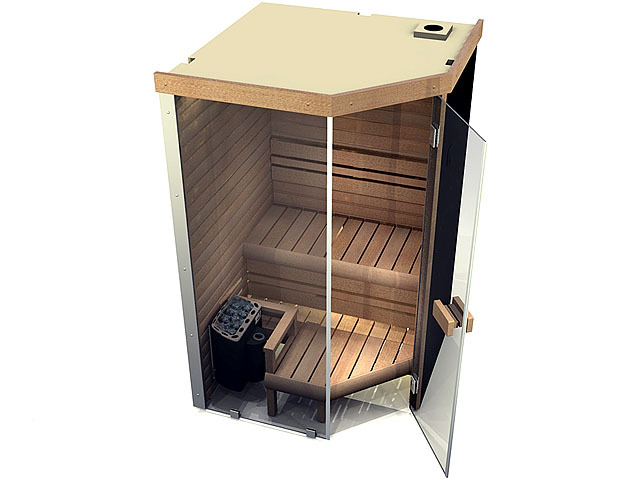 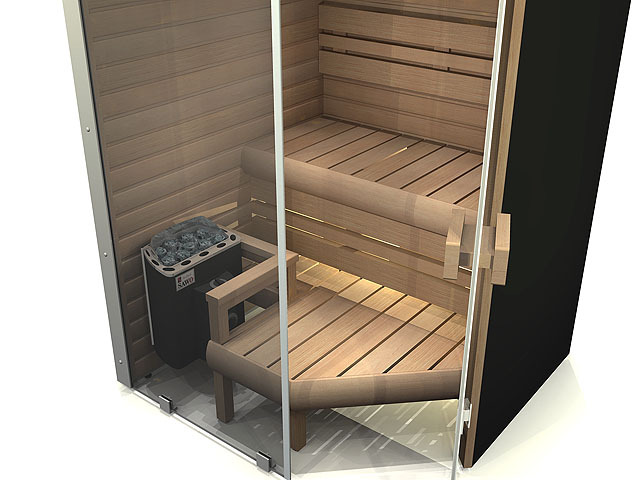 The model NL1414N Aura is a proportionate, harmonic sauna with a rectangular shape. 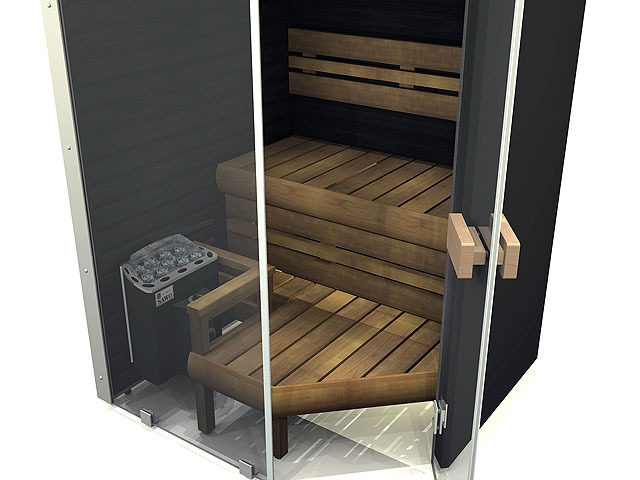 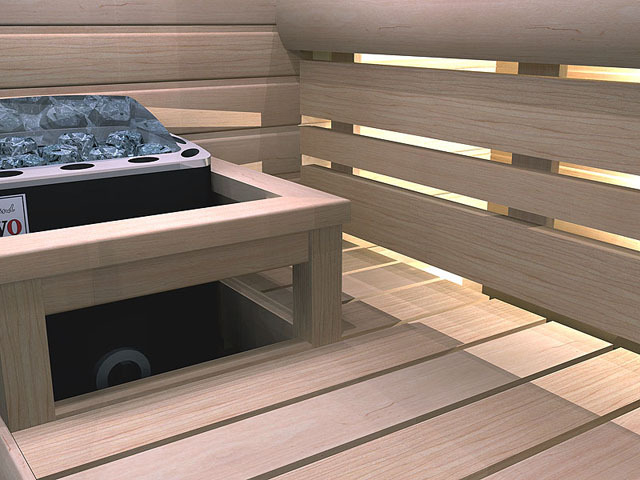 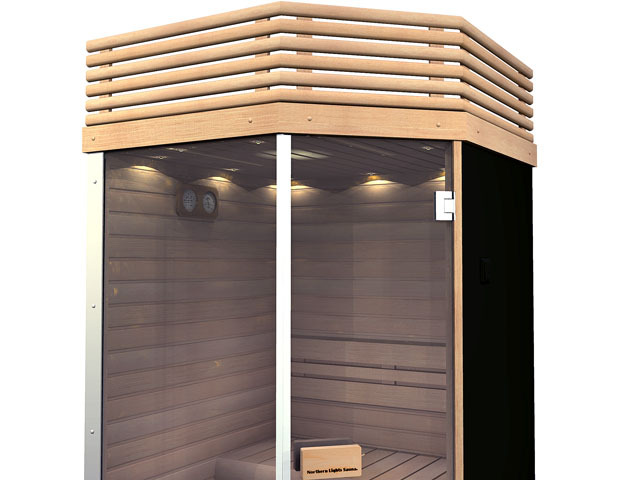 Find a place for this sauna in an open free space, at your pool or gym. 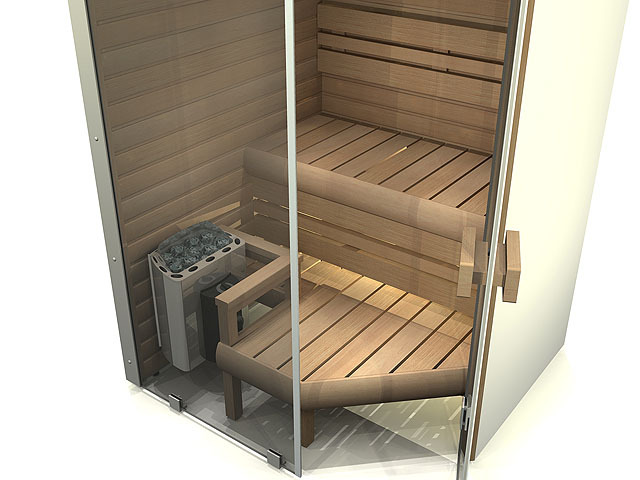 The NL1414N Aura is a stylish sauna that will bring additional value to any property. 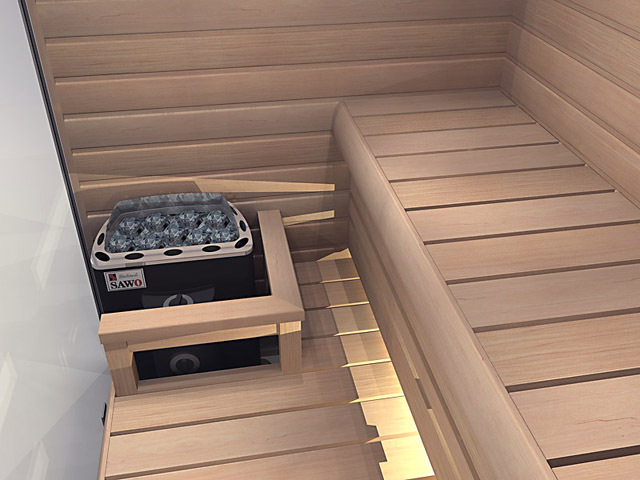 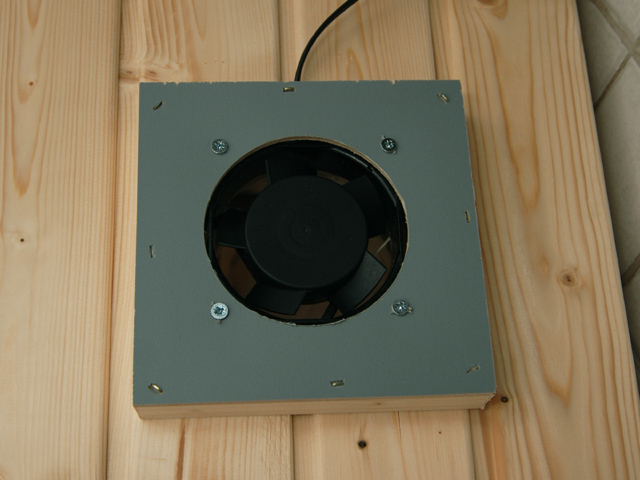 The heater is rated at 4.5 kW power, so there is plenty of heat for active sauna bathing, as well as for soothing relaxation. 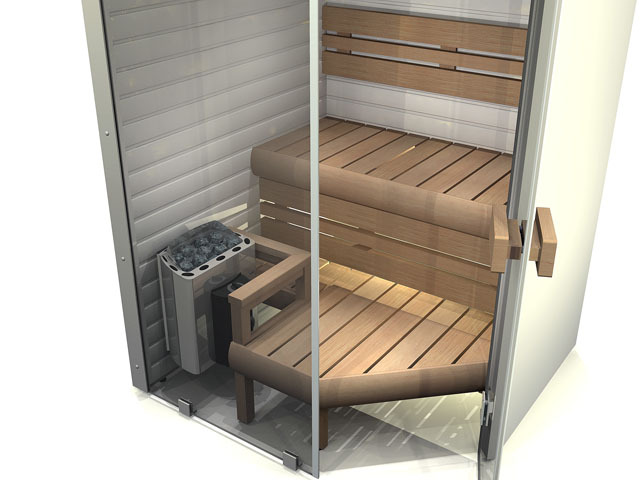 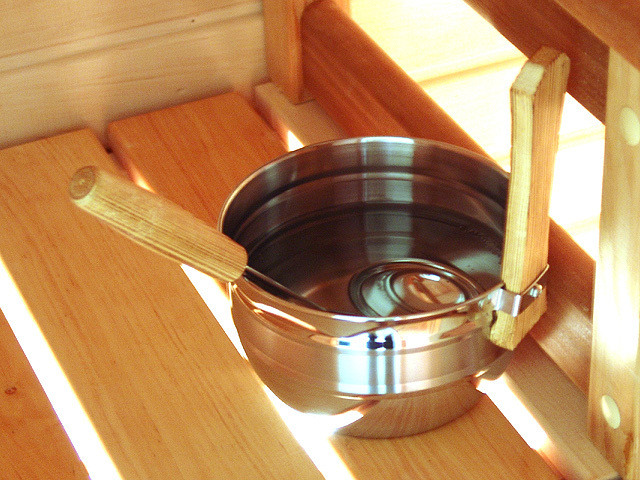 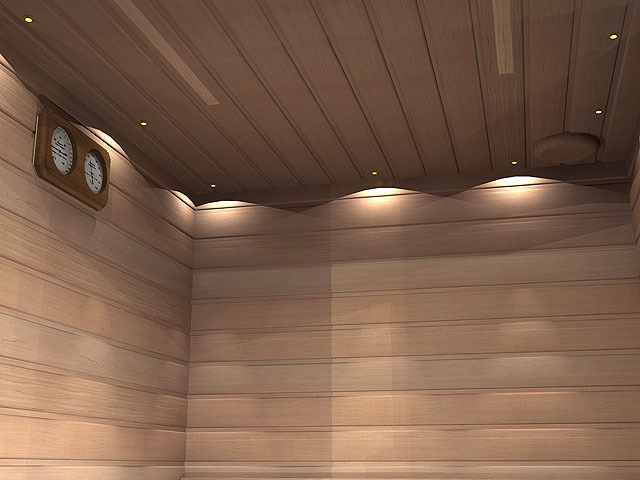 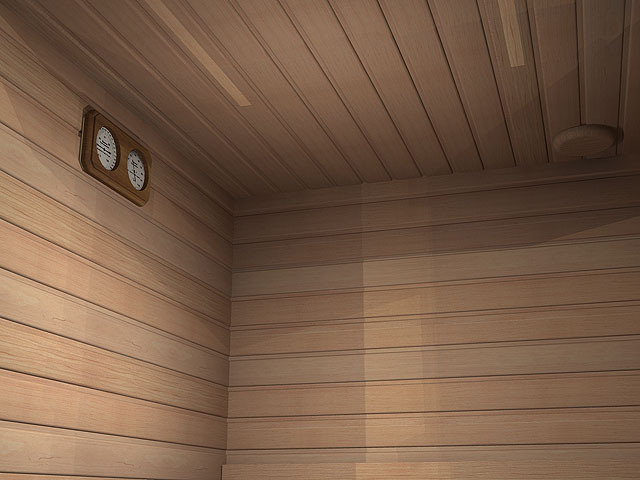 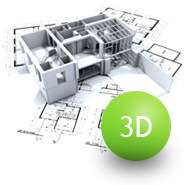 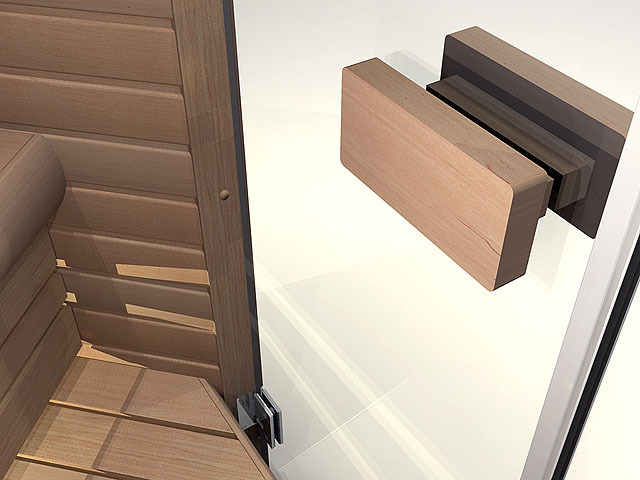 Try this sauna to your space with our easy to use room design tool. 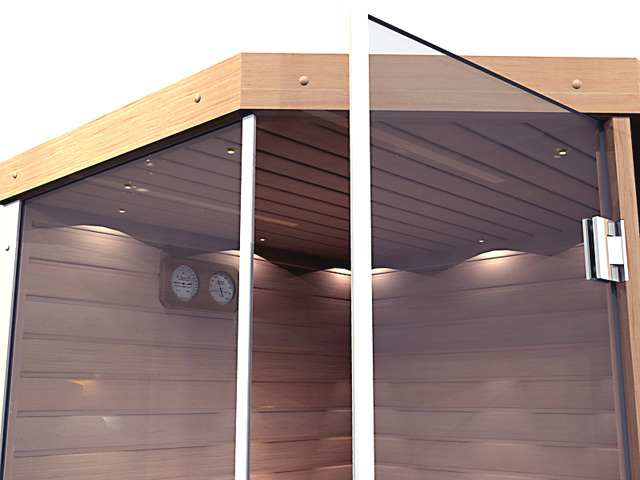 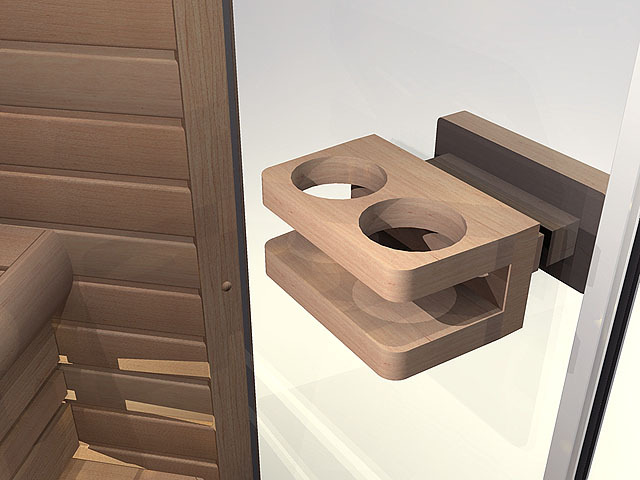 The dimensions of the sauna are 56.3x55 in. 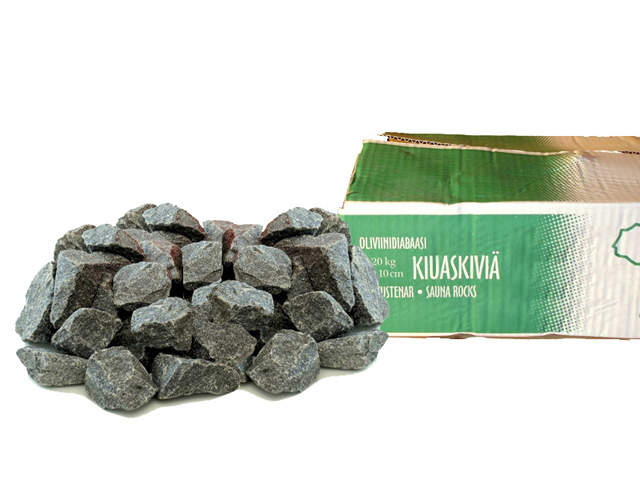 (143x140 cm). 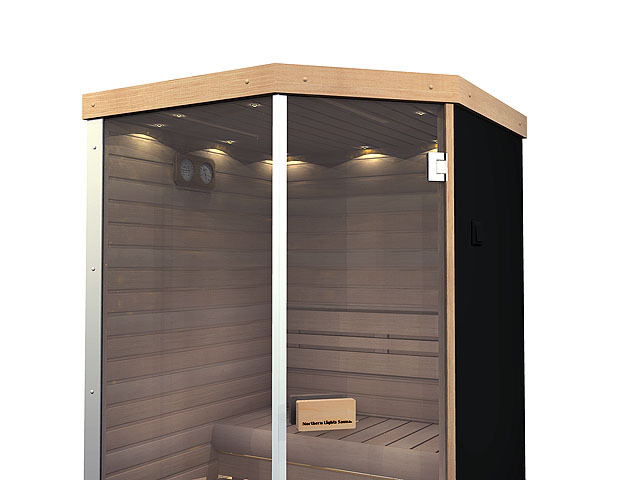 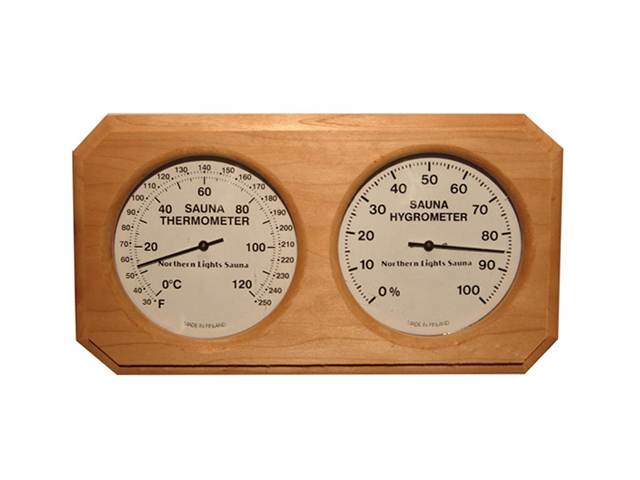 Sauna size: 56.3x55 in., height 80 in. 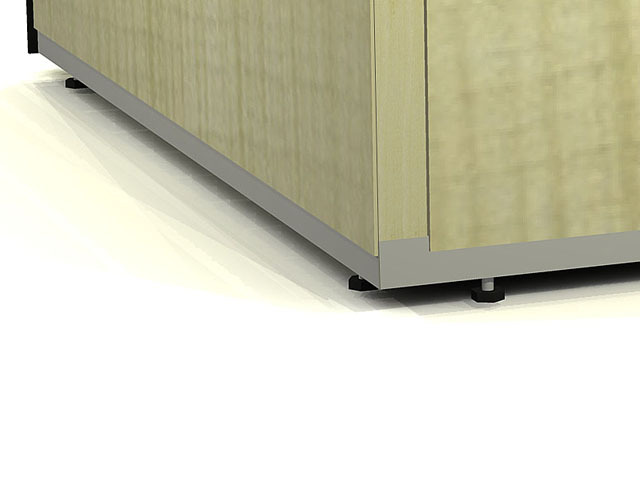 (143 cm x 140 cm, height 203 cm). 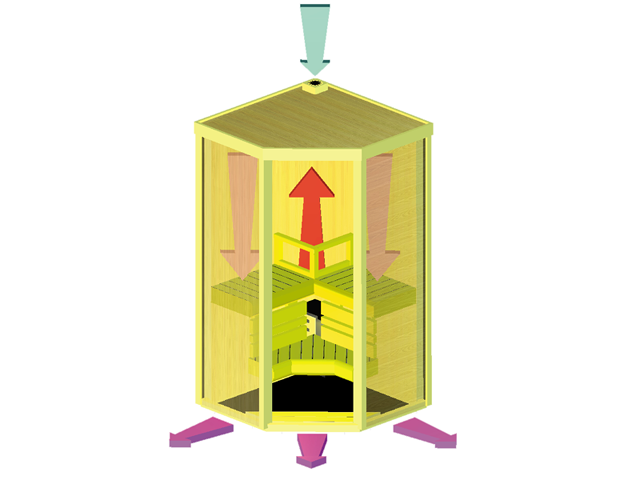 Weight c. 660 lbs (300 kg).